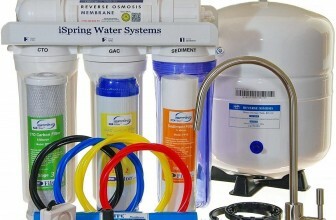 Looking for a complete water filtration system for your home? The drinking water that you receive from your municipal water body may have high levels of chlorine and other contaminants including arsenic, virus and other heavy metals that can be harmful for your health. What you need is not just a filtration system but one that can take care of all the water threats that can be there in your drinking water. And a good reverse osmosis drinking water filter system can help separate the contaminants from the drinking water so that your drinking water is absolutely safe. 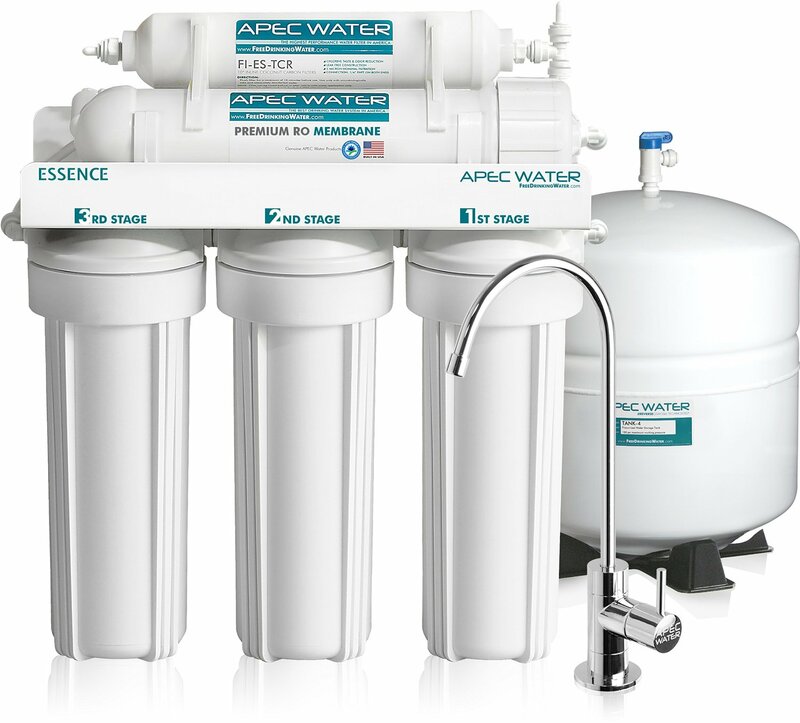 The APEC Premium 5-stage Reverse Osmosis Drinking Water Filter System is a machine that is built in USA and guarantees good health through safe water. The unique and amazing technology helps to remove 99 percent of water contaminants be it chlorine, fluoride, lead, arsenic, bacteria, heavy metals, virus and much more. What’s in store? Weighing 26 pounds, this water filter system has product dimensions to be 16 x 5.2 x 17.5 inches and is manufactured in USA. The item’s model number is ROES-50 with a classic style and 1-pack size. It does not require any battery and comes with a one-year APEC warranty. There are 5 stages of filtration in this filter system. The first stage consists of sediment removal with a 5 micron 10 inch filter which removes particles, rust and dust. The second and the third stage both work as a carbon block with a 10 micron 10 inch filter which eliminates unpleasant odor, taste, chlorine and color from the water along with other common chemicals. The fourth stage consists of the high rejection TFC reverse osmosis membrane which gets rid of a wide variety of contaminants. The last and final stage boasts of a coconut shell refining carbon of 10 inch filter which removes any residual taste from the water. What’s included? The premium long-lasting filters are used to treat tap and well water to provide refreshing and clean water. The filter system comes with quick connect fittings and do not need extra lock clips to seal the leak. You also get a completely lead-free chrome faucet and FDA & NSF certified JG food grade tubing for safe and pure water. APEC offers a one-year satisfaction guarantee along with WQA certified manufacturer guaranteeing noise and trouble-free system for pure and long-lasting water. The water filter system is extremely simple to maintain and install. Once the system is set up, you can forget all about it and enjoy pure drinking water for days to come. The system is fully automated. Being high in quality and very easy-to-install, this water filter system is a popular choice for people looking to drink pure and safe water in their homes. It comes with a high-quality assurance. A US based professional technical support by the manufacturer itself ensures the user that he will get any kind of help required quickly. The entire system is available at a very reasonable price making it a preferred choice over other water filter systems available in the market. A single system takes care of a variety of contaminants and eliminates them effectively. Another positive aspect of this system is that it has very low maintenance as you just have to change the pre-filters once or twice a year. Sadly, the carbon filters that are provided with the product do not eliminate chloramines along with some other contaminants which are recently becoming quite common in water and are harmful for the human body in several ways. You might need to purchase an additional special filter to get rid of these specific contaminants. Also, the faucet and the valve included in the package does not seem to be very durable. As such they may need to be replaced after only a year of use. The 5 stage reverse osmosis drinking water by APEC is one of the best ways to get a complete water filtration system for your home. Equipped with the reverse osmosis technology, this is just the water filter system that you need in your home to get pure, tasty and healthy water free from many water contaminants. The long-lasting filters help save money in the long run and the product is a great buy. 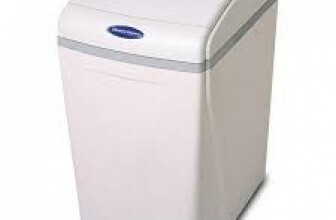 Being economically priced, it has found its way into several homes in the whole of USA. 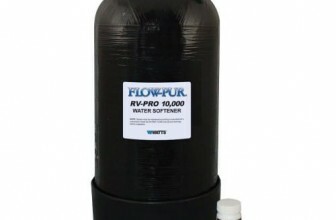 Looking for a portable water softening system? Check out our review the On The Go OTG4-DBLSOFT Portable Water Softener!